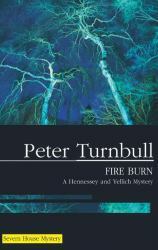 A Hennessey and Yellich Mystery - A badly burned body. And then another charred corpse. Related? Crimes of passion or revenge? Family feud? Hennessey and Yellich are on the case, but Detective Chief Inspector Hennesseys gut feeling as to the identity of the killer, based on years of experience and intuition, is shaken when another burned body is discovered. And then another. Is this the work of a serial killer and can two honest policeman unearth enough clues to prevent a further tragedy?.